Last year’s ultimate team finished with a 6-1 record. The only loss came in the season opener against Shady Hill where the team fell by one score, 9-8. Once again, ultimate will begin the spring against their rivals from Cambridge and will be looking to reverse the tables this year. With nine returning players, the Blue & Gold are using last year’s loss as motivation and have set high expectations for their upcoming campaign. Coach Andy Rentschler is cautiously optimistic about this year’s squad and has seen marked improvement from a handful of veteran players, including Sophie Myers and Stella Balter who are each off to a great start so far. The duo will need to continue their strong play next week during the big game, which will take place at Winn Brook Elementary in Belmont on Thursday, April 4. First-year coach Cicely Morris will be turning to sixth graders Erika Tinmouth and Clio Burger to provide leadership on the young JV tennis team this spring. Classmates Elena Ferrari and Evan Seymour are returning for their second season of track & field and will both be counted on to earn points this spring in their respective events. 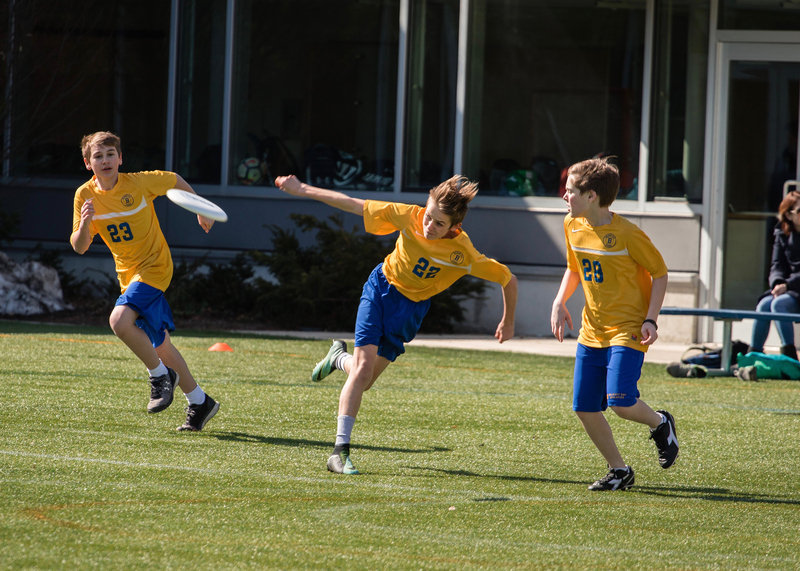 Expectations are high for lacrosse players Quinn Foley and Theo von Gottberg who are beginning their second season for the Blue & Gold and will be counted to create some offense this spring. Varsity tennis will begin its season on the road against Shady Hill next week. The team will be counting on strong performances from veteran players Eden Lewis and Eli Burger. Vivian Danahy will suit up between the pipes for girls’ lacrosse’s first game next week. She’ll be counting on defenders Aaniya Riddick and Michelle Mejia-Levy to help her out. Charlotte McIntosh and Ripley Bright have been working hard during practice for the JV ultimate team and are looking forward to some intramural games before squaring off against other schools.